The cafeteria website web design will quickly draw attention of online users to your cafe chain or cafe website. 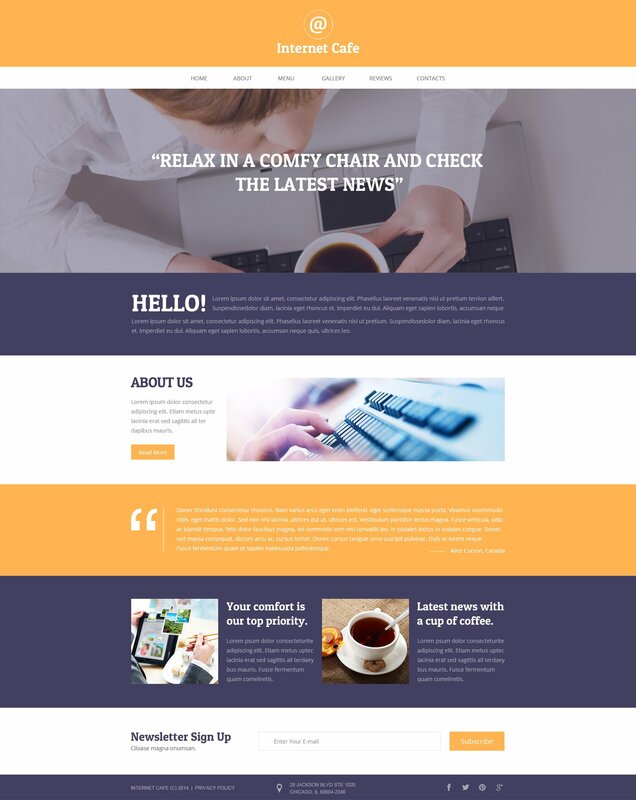 this template is a totally responsive and highly flexible ready-made theme perfect for cafe and restaurant supplies, cafe and restaurant equipment or cafe and restaurant. This template has responsive design that automatically adjusts your webpage to any monitor resolution. This great design will suit a online project of any type. A rich documentation directory as well as free 24/7 assistance are bundled. Put up a profitable project with the help of this design template and get the results.